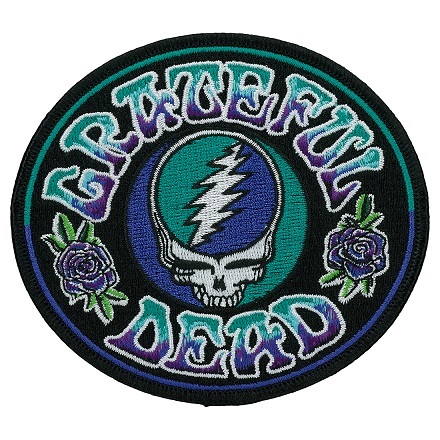 This Grateful Dead patch is done in teal and purple with roses and a steal your face design. It can be ironed on or sewn on your favorite clothes or backpack and it measures approximately 4 1/4" x 3 3/4". Officially licensed Grateful Dead merchandise.